Several specials currently available at Optique Boutique 20/20. Check back often as they may change. Extra $10.00 Off a pair of sunglasses with the purchase of a year supply of contact lenses. 40% Off second pair of eyeglasses, first pair can be purchased with insurance. 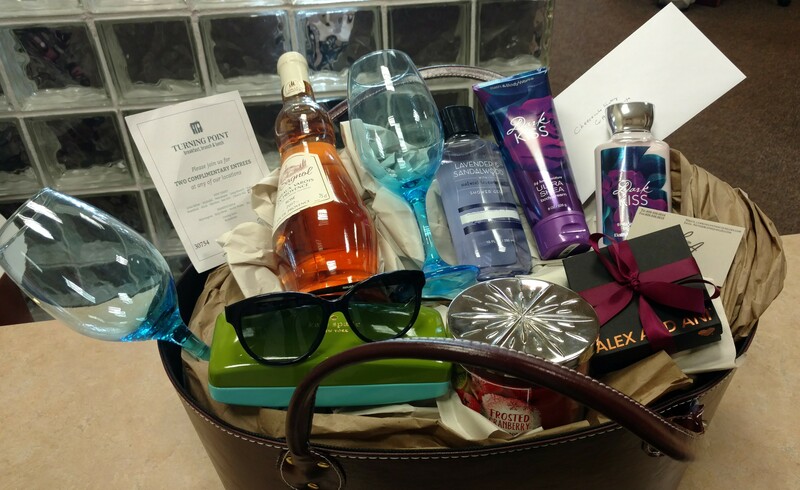 The basket includes: Designer Kate Spade or Oakley Sunglasses, gift certificate to the Cheesecake Factory and the Turning Point, complimentary comprehensive eye examination, Wine and set of wine glasses, Alex and Ani bracelet, Yankee candle, Bath and Body products, Lindt chocolate and more! *As the winner of the basket, Optique Boutique 20/20 may use your image on their website or Facebook page. 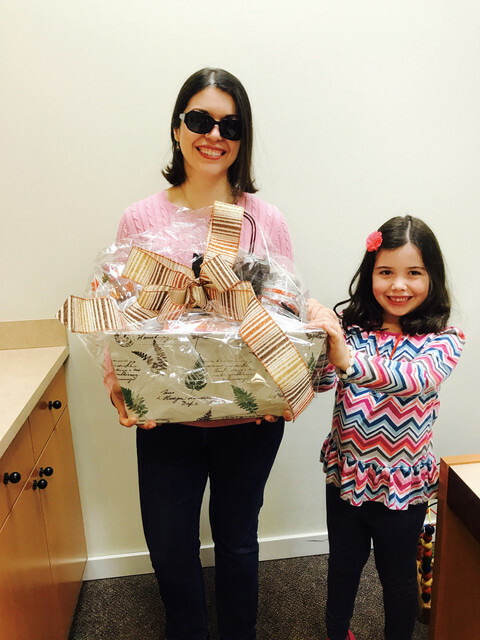 Our Fall Basket Winner, Leslie Carr! valued ways for patients to show us their appreciation! 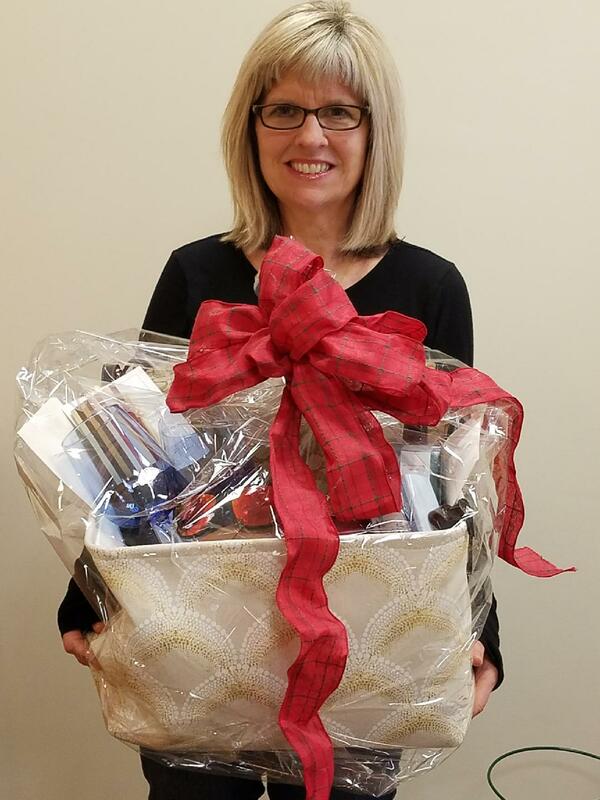 Our lucky Holiday 2017 referral basket winner, Carol S.! The basket includes: RayBan Designer Sunglasses and case, A gift certificate to the Cheesecake Factory, a gift certificate to The Turning Point, a gift certificate for a routine eye exam, a Coach Handbag, an Alex & Ani bracelet from Lawrence Anthony Jewelers, a set of wine glasses and wine, a designer candle, a set of Bath & Body products, and more! 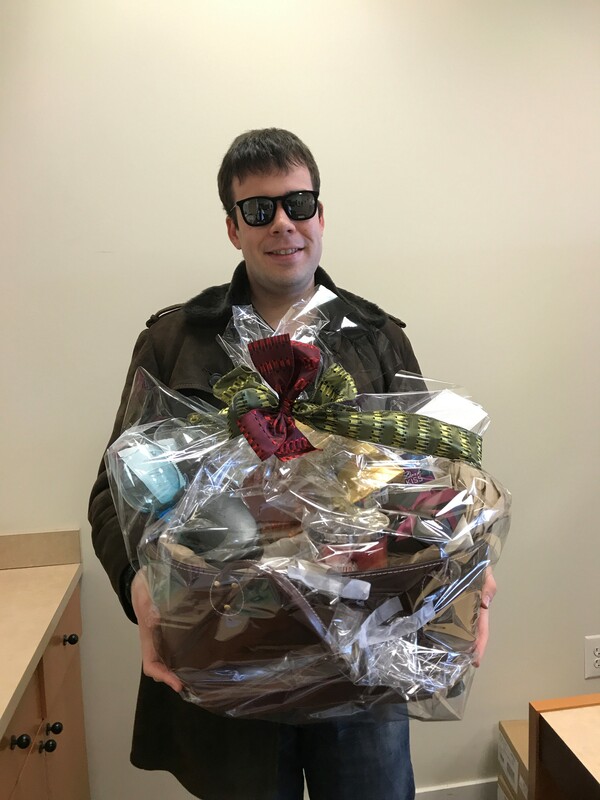 Congratulations to our Holiday 2018 referral gift basket winner, Fedor! Our holiday 2018 referral gift basket is valued at over $1,000!